Has the election season of 2016 brought unusual stress? 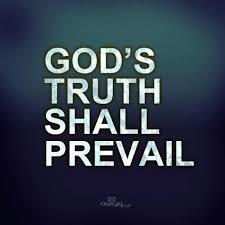 If so, consider the words of Psalm 46, a psalm which gives us to truths for troubled times. My question: Where do they find the grace to say “we will not fear though the earth and that is in it gives way”? To most of us when the foundations shake and the rafters rock, we tremble. And in that trembling we look for cover, yet hasty searches for safety in tremulous times often leads to devastating results. Soft prosperity elevates “blessings” over the blessed God. Soft prosperity detaches verses from the redemptive framework of the Bible. Soft prosperity diminishes the curse that Christ bore and the blessing of the Holy Spirit. Soft prosperity relies on pastor-prescribed therapeutic techniques. Soft prosperity largely addresses first-world, middle-class problems. Does the preacher deal honestly with the biblical doctrine of suffering? Does the preacher speak about the need for self-denial? Does the preacher preach expository sermons, where the shape and content of the Bible forms the shape and content of the sermon? Does the preacher wrestle with tensions in the biblical text? Does the preacher live a lavish lifestyle that elevates him over most of the people in his church? Does the preacher elevate self and minimize the greatness of the glory of God? If the answer to any or many of these questions is “yes,” then there is or is beginning to emerge in that church a message of prosperity preaching. Sadly, the softer form of the prosperity gospel is rife within evangelical churches. We need to be aware of it, repent of it, and pray that God would give us grace to combat it in our churches and in the corridors of our own hearts. Knowing the signs of the soft prosperity gospel is a beginning place to address the problem. 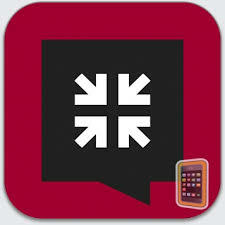 To hear John Piper’s answer in full, check out his podcast “Six Keys to Detecting the ‘Prosperity Gospel. '” You can also read his thoughts about developing a philosophy of ministry that does not move towards the prosperity gospel: “Prosperity Gospel: Deceitful and Deadly.” For the whole 9Marks journal, visit here. 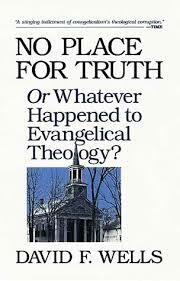 In No Place for Truth, David Wells demonstrates how the last two centuries, and especially the last fifty years, have witnessed the evacuation of theology in evangelical churches. He attributes the cause of this theological decline to a number of factors, but two in particular: modernity (with its denial of biblical authority and its elevation of individual autonomy) and modernization (with its increase in technology, urbanization, cliché cultures). Wells shows the pernicious effect that modernity and modernization have had on the church, and how evangelicals (like the liberals before them) have opted for life over doctrine, and as a result have lost both. His book is a clarion call to return to the Scriptures and to care once again about sound doctrine. Though, this book is short on solutions, it rightly diagnoses so many problems in the church, and causes pastors and churches alike to reconsider what they are doing, or better, what they are believing. Imagine you’re driving to church on a cold, rainy Sunday morning, and to your dismay you get a flat tire. What is your immediate thought? “God, really? I’m going to church. Isn’t there some drug dealer or abusive husband you could have afflicted with a flat tire?” That’s the prosperity gospel. Or maybe you don’t get that promotion at work, your child gets sick, or you’re unfairly criticized at church. The result? You get mad at God because you were overlooked, troubled, or disparaged. That’s the prosperity gospel. The very thought that God owes us a relatively trouble-free life, and the anger we feel when God doesn’t act the way we believe he is supposed to act, betray a heart that expects God to prosper us because of our good works. That’s the prosperity gospel. I don’t know an American Christian who hasn’t struggled with this sort of thinking—questioning God’s providential goodness when, in our attempts to serve him, he has permitted (or better: ordained) our trial. It is part and parcel of the evangelical experience in America that the message of salvation is accompanied by a promise of God’s good plan: “God loves you and has a wonderful plan for your life,” which includes eternal life and the absence of flat tires, right? Not really. This is an American gospel of our own making. Therefore, we need to consider afresh just how much upward mobility we have imported into our own Christian faith. 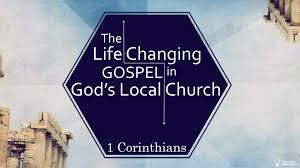 In my own case, I see far more than I would like to admit, and as I think on the prosperity gospel, I am beckoned to repent and return to the true gospel. Maybe God would have you do the same? And maybe, he would use David Jones’ article to help you see the tentacles of prosperity latching to your own heart. For more reflections on the prosperity gospel, see this month’s 9Marks Journal on that subject.